For guys, it's mostly those people who don't know your number or BB PIN but suddenly know your number, BB PIN and your address once you 'Hammer' and they always want you guys to hang out...They'll be like "Guy, how far?" In the past, I kept so many friends. There was no such thing as having enough friends - the good, the bad and the reprehensible. They helped me, they humored me, taught me and sometimes hurt me... OK, often hurt me. So I closed up shop, packed up my things and became a hobbit...sorry i meant a hermit. I told myself I needed no friends at all and in this period of self preservation, I blocked everyone out and after a while I found myself longing for relationships that would do my heart good and generate stronger motivation and nourishing interactions. I realized what C.S Lewis meant when he said friendship is unnecessary, like philosophy, like art... It has no survival value; rather it is one of those things that give value to survival. Humans are an intrinsically social species.This means our happiness and success largely depend on the relationships we build with others. When building relationships on a day-to-day basis, we really only have two distinct choices we can make. We can choose to build positive, meaningful, healthy, and productive relationships with the people we interact with. Or we can choose to build negative, empty, toxic, and destructive relationships with the people we interact with. Knowing how to maximize the positive relationships and minimize the negative relationships is key to living a happy and satisfying life. I think there are 3 types of friendship. Mutual friendship: This has so many subcategories but basically this is where you both share a strong personal bond; could be old school pals or something that has profoundly effected you or just a love for the same type of music, a football team. Like that moment when you say "What! You too? I thought I was the only one." Mentor friendship: In a mentoring relationship we teach, counsel or disciple other Christian friends. This is a relationship based on ministry, similar to the kind Jesus had with his disciples. Mentoring friendships can easily become draining if both parties don't recognize the nature of the relationship and construct appropriate boundaries. The mentor may need to pull back and take time for spiritual renewal. He may even have to say no at times, setting limits on his commitment to the "mentee". Mentee friendship: Where we are the ones being taught, counselled, or discipled. We are on the receiving end of ministry, being served by a mentor. A mentee shouldn't expect too much from his mentor or seek a mutual bond. Mentees must respect boundaries and look for close friendship with someone other than a mentor. Proverbs 18:24 says "A man of many companions may come to ruin, but there is a friend who sticks closer than a brother." This proverb reveals that a true Christian friend is trustworthy. But since we all know some people have a tendency to gossip so we should only expect to share complete trust with a few loyal friends. Trusting too easily can lead to ruin. Over time our true friends will prove their trustworthiness by sticking closer than a brother or sister. When we perform acts of kindness, others are more likely to repeat that act of kindness toward another person. In many other ways, the relationships we build can influence how others build relationships in the future. If we choose our friends based only on what they have to offer, we'll rarely discover the blessings of a genuine friendship. Philippians 2:3 says, "Do nothing out of selfish ambition or vain conceit, but in humility consider others better than yourselves." By valuing your friend's needs above your own, you'll be on your way to loving like Jesus. In the process, you'll likely gain a true friend. The relationships we build have a much broader influence than just ourselves and our immediate social circle. They also influence people who we may never know exist. When you create a positive connection with someone else, that person is more motivated to make positive connections with other people. Our actions and relationships, therefore, are part of a much larger chain of events that are what influence society as a whole. 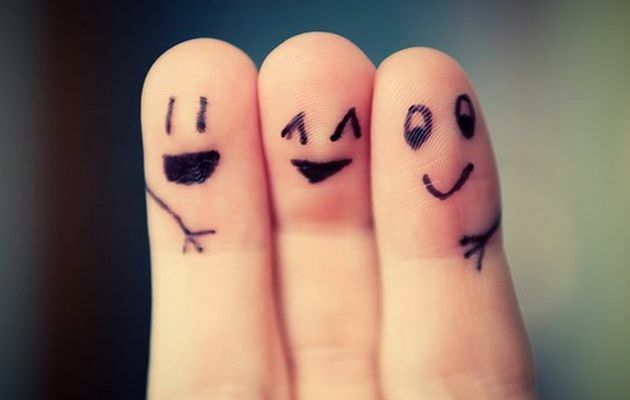 Friends come, Friends go, But a true friend is there to watch you grow.